Candidates/parents/guardians can receive examination results by sending the candidate’s index number through a short text message (SMS) to 22252 immediately after the announcement by the Cabinet Secretary. The SMS will only be charged upon receipt of the examination results. Therefore, subscribers are advised to send one SMS and wait for the examination results before sending another one. The office of Public Communications, Kenya National Examinations Council wishes to clarify that the correct code for accessing the KCPE Examination results is 22252. 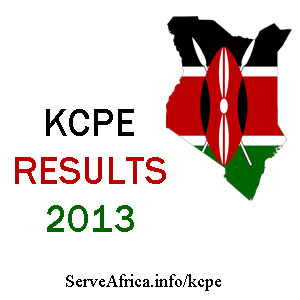 The KCPE examination results will also be available on KNEC Website www.knec.ac.ke after the release of the examination result. Good work. Keep it up. I am a teacher at Shauri Yako Primary and I would like to do some updating on the information about the school. Let me know what key items you would want. Thanks. today is the 31st of December.when will you post the results?